Through Lenovo’s unique interlocking design, the need for multiple adapters and cables for charging multiple devices is virtually eliminated. More portable, fewer cables, and extra features mean ThinkPad Stack accessories are made for mobility. Through a magnetized interlocking design, multiple Stack accessories take up less space and store more cleanly than traditional options. Pogo pin technology also allows each accessory to work better together. 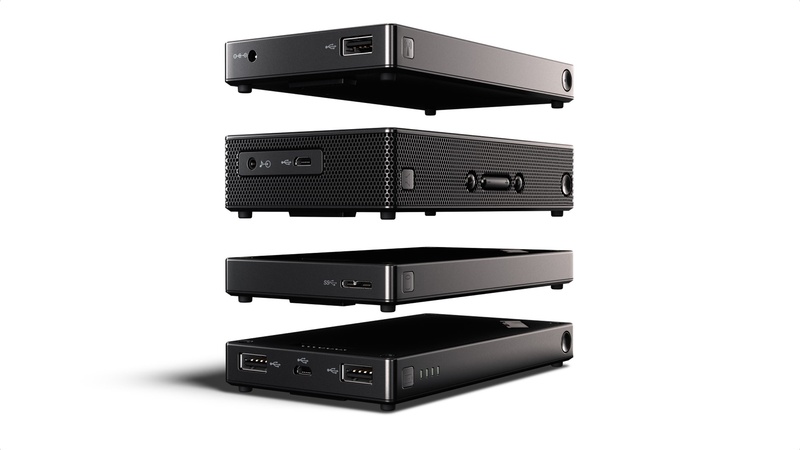 The 10,000 mAh Power Bank keep phones and tablets powered up on long trips, the one terabyte USB 3.0 Hard Drive offers huge expansion on the road, the Wireless Access Point ensures a strong and stable WiFi environment while travelling and the Bluetooth Speaker pairs seamlessly with ThinkPad systems to extend audio playback. Prices do not include tax or shipping and are subject to change without notice and is tied to specific terms and conditions. Reseller prices may vary. Price does not include all advertised features. All offers subject to availability. Products may only be available in selected markets. Lenovo reserves the right to alter product offerings and specifications at any time without notice.